There is an updated version of this guide for openSUSE 11.1 and KDE 4.1, so please check out my openSUSE 11.1 Guide instead. Thank you! This guide was compiled after installing openSUSE a few times. Its purpose is so that I don’t miss anything on my next installation when compared to the previous one. As such, this guide may contain things which you personally do not wish to do - so don’t follow it blindly. 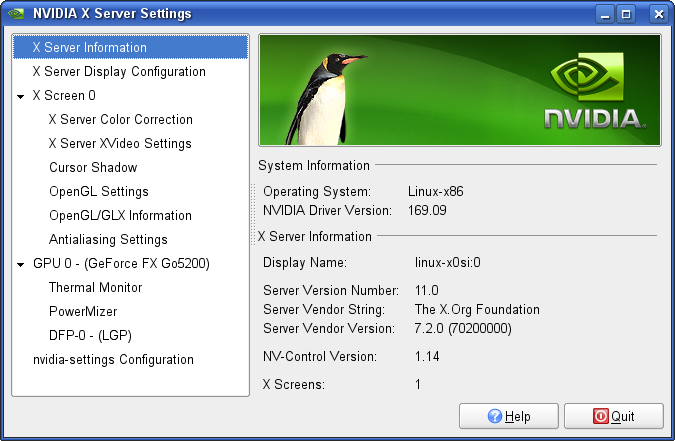 When you download openSUSE try to make it the all-inclusive DVD version as this is more convenient in the future. Also, keep hold of the ISO file as we use it later on in the guide. This guide was written specifically for openSUSE 10.3 and KDE 3.5 - use it at your own risk. 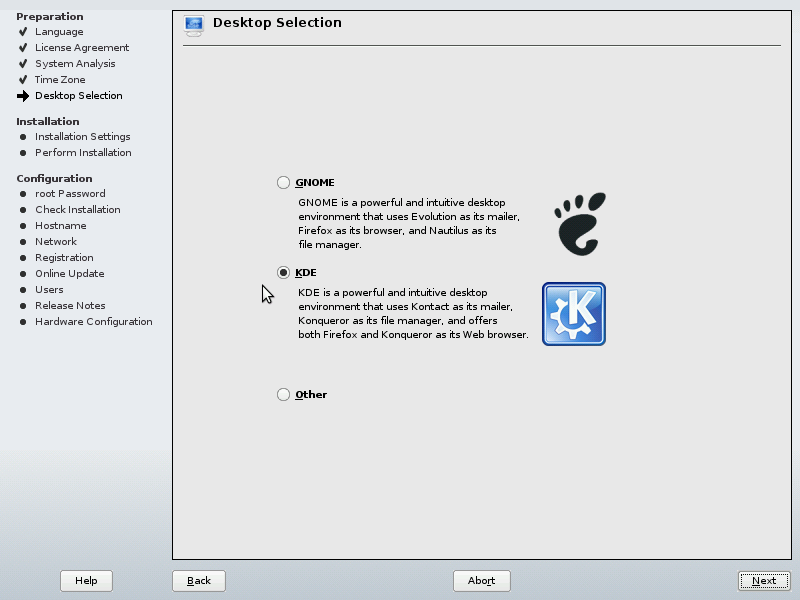 I have a little bit of experience with GNOME but I prefer to use KDE. If you prefer GNOME then this guide will not be very relevant for you. 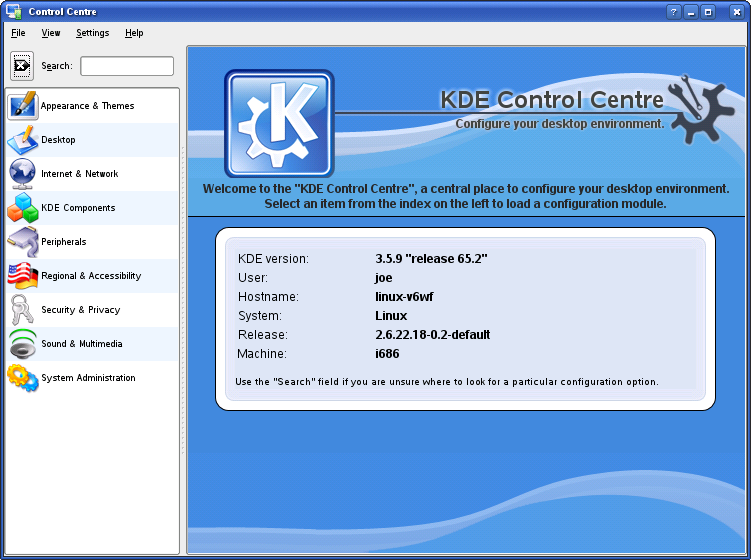 Also, I have not used KDE4 extensively yet so this guide isn’t going to be relevant for that either. It is recommended that this guide is followed via LAN, not WLAN, as YaST can get a little temperamental if the connection is reset whilst downloading packages. You ought to select the Patterns listed below. Some may already be ticked - no problem, just move onto the next item. Ones in italics are optional, do them if you think you’ll need the software for your particular needs. You should now have everything you need to have a decent basic installation. It’s a good start. If you’ve reached this far and your desktop looks like the screen shot above then you are ready to follow the rest of this guide. This section will cover some basics on how to configure your system, such as software and services. Here we’ll install all the software you may want along with configuring the Apache web server and a FTP server - if you want them. A little note: in the world of openSUSE a piece of software is called a package, so the following section concerns installing packages, not software. It’s worth clarifying what &apos;Konsole&apos; is. 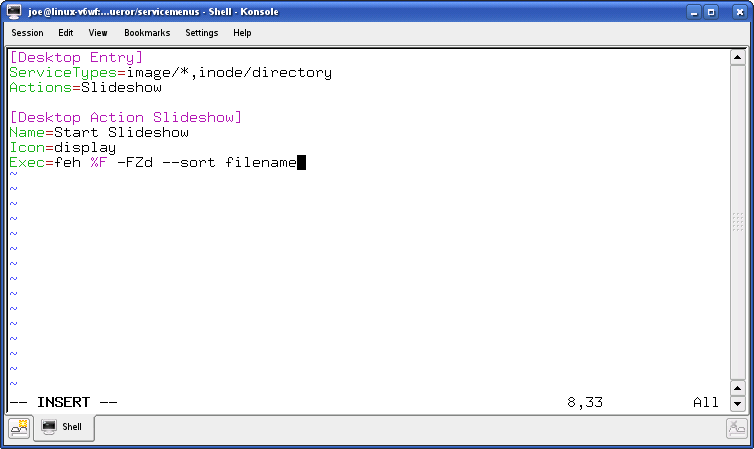 Konsole is a command line tool. It is very important and powerful, many of the notes on this tutorial ask you to use it. Most people are scared or apprehensive about using it for some reason, thinking it is too complicated or dangerous - it’s really not. There are loads of ways to open up a Konsole window. Perhaps the quickest is to press Alt-F2 then type Konsole and press Enter. The more graphical way is to open up the menu by clicking on the green lizard in the bottom left corner of your screen and then clicking &apos;Applications&apos; → &apos;System&apos; → &apos;Terminal&apos; → &apos;Terminal Program (Konsole)&apos;. 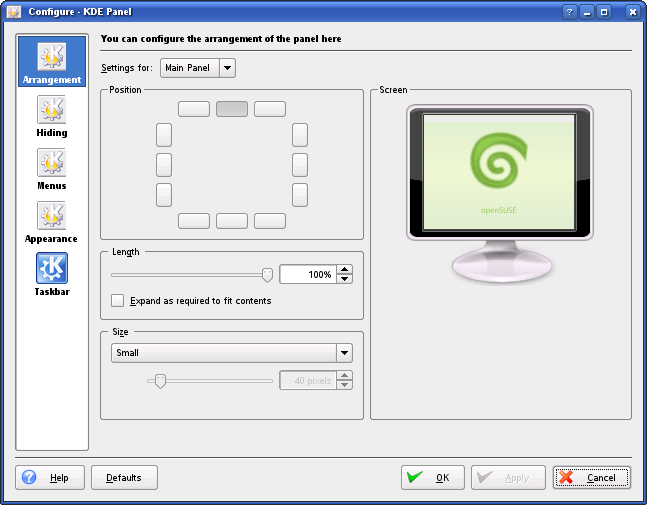 A screen shot of a Konsole window is shown below. Now close it down and we’re ready to continue. Simple, eh? We’re going to use a program called YaST for the first time here so it’s worth clarifying what &apos;YaST&apos; is too. 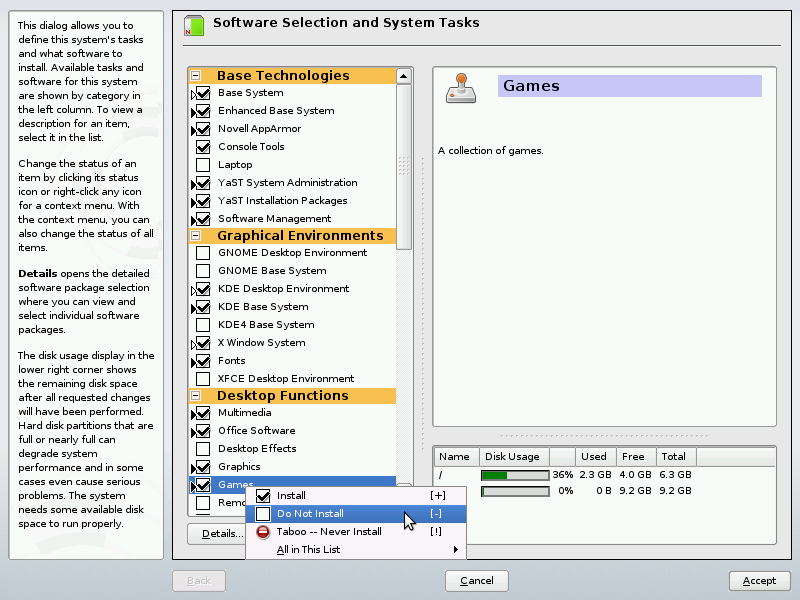 YaST is the main piece of software we’ll use to change the configuration of the computer. A screen shot of YaST is shown below. It can be accessed by opening up the menu in the bottom left corner and going to &apos;Applications&apos; → &apos;System&apos; → &apos;Administrator Settings (YaST)&apos;. Its icon is that of a spanner with a green circle. In &apos;Commands to Run&apos; click &apos;Add&apos; then select &apos;ALL&apos; from the drop-down box. 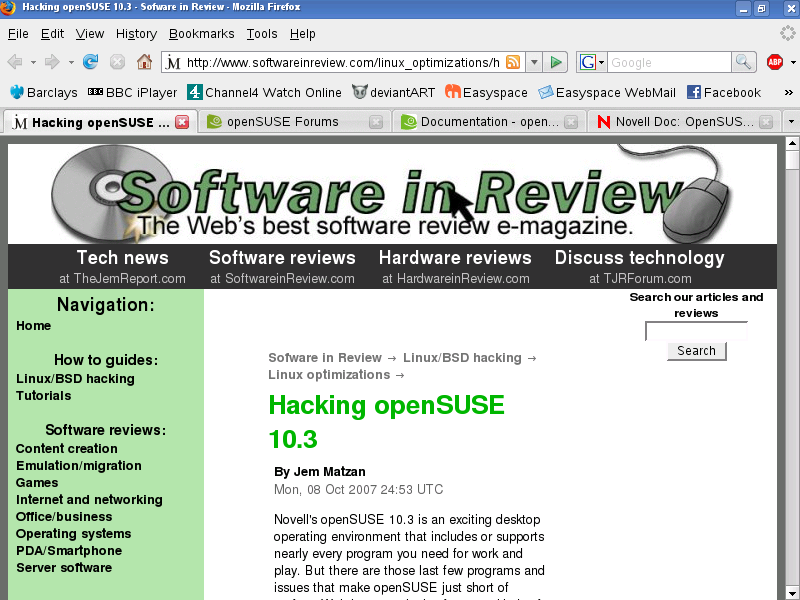 First, click on &apos;openSUSE-10.3-DVD 10.3&apos; and un-tick &apos;Enabled&apos; at the bottom. Now, if you’ve still got the DVD ISO you can add it instead of the actual DVD. This will save you having to stick the DVD into your drive all the time. To do this click &apos;Add&apos; → &apos;Local ISO...&apos; → &apos;Next&apos; and now you can give it a name then select where you’ve kept the ISO. Now we can do the proper repositories. You can now click &apos;Add&apos; to add another new one to the list. You will have to click on &apos;HTTP...&apos; and then type in the &apos;Server Name&apos; and &apos;Directory on Server&apos; and click &apos;Next&apos; for all the ones in this list. 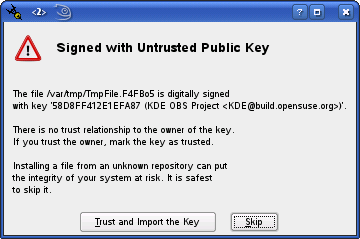 Just click &apos;Trust and Import the Key&apos; if you are sure that you have inputted all the details correctly. ...add the following list. Ones in italics are optional, do them if you think you’ll need the software for your particular needs. Once you click &apos;Finish&apos; it’ll take a while for the computer to sort it all out - this is normal. Click &apos;Accept&apos; once you’ve marked the whole list. Some may already be ticked - it’s no problem, just move onto the next item. Ones in italics are optional, do them if you think you’ll need the software for your specific needs. It’s not a major issue, simply select the option which says Install libspeex although it would change the vendor and click &apos;OK -- Try Again&apos;. 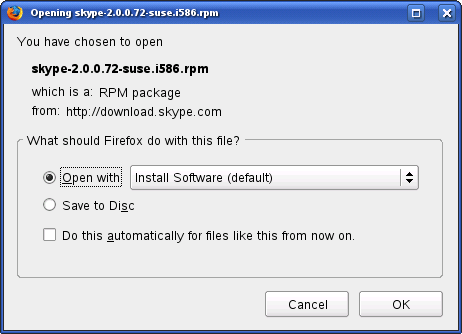 If you want to have Skype on your computer then you’ll need to visit the download Skype webpage and click on the &apos;OpenSUSE 10+&apos; link. You should then be presented with a download popup which looks like the one shown below for Firefox. Simply click &apos;Open&apos; and YaST should install it straight away without needing your input - all done. Click &apos;Begin Install&apos; and then (eventually) click &apos;Start&apos;. You may get a font warning, if so, tick &apos;Don’t show me this again&apos; then click &apos;Continue&apos;. It should now be installed for you without a hitch. If, like me, your wireless connection is iffy then it can fail a few times when it is downloading all the files it needs or the installer just randomly fails. This isn’t a problem, just simply type ./ies4linux back into the Konsole and it’ll continue from last time. Once it is all done click &apos;Close&apos; then you can simply type ie6 & into a Konsole and IE6 should open up for you. 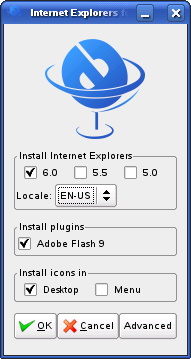 Do not use IE6 to browse the internet; just use it to test your own websites&apos; compatibility. Don’t forget that IE is awful. This makes Apache start whenever you logon to your computer - simple, eh? Add mylocaldomain to the line which has 127.0.0.1 and localhost then :wq the file. then :wq the file. Note: If the DocumentRoot path has a space in it then enclose the whole string in "s to make it work. Fire up a web browser and type http://mylocaldomain/ and all should be there, working nicely. Now you should have a FTP Server up and running. 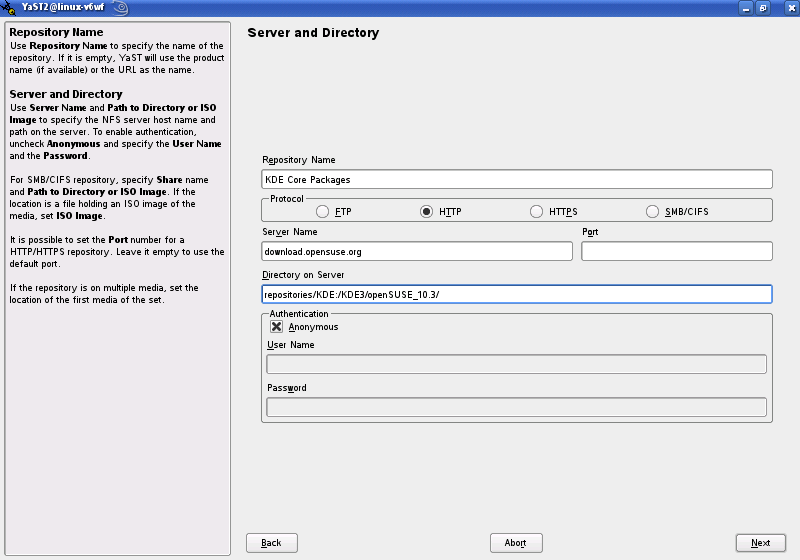 You can open up a FTP client, such as FireFTP in Firefox or KFTPGrabber, and connect to ftp://localhost/ with your own username and password to check that it is working. VNC is a method which lets you connect to a remote computer and use its desktop and programs as if you were actually sat there yourself. I choose to enable this feature so that I can connect to my laptop from a Windows desktop in a separate room, for example. 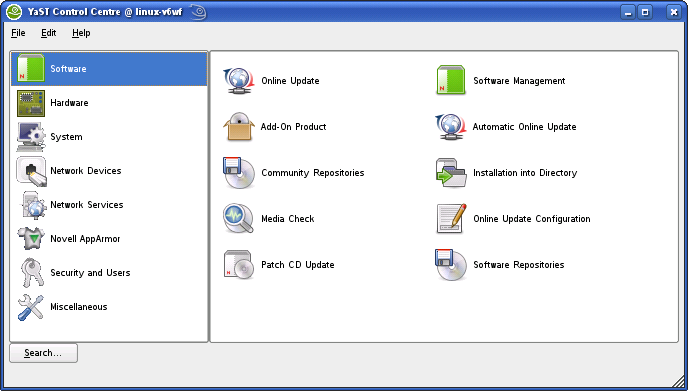 You should already have everything you need to setup VNC, you just need to enable it. However, this is a security risk - only do it if you’re going to use it and maintain it! 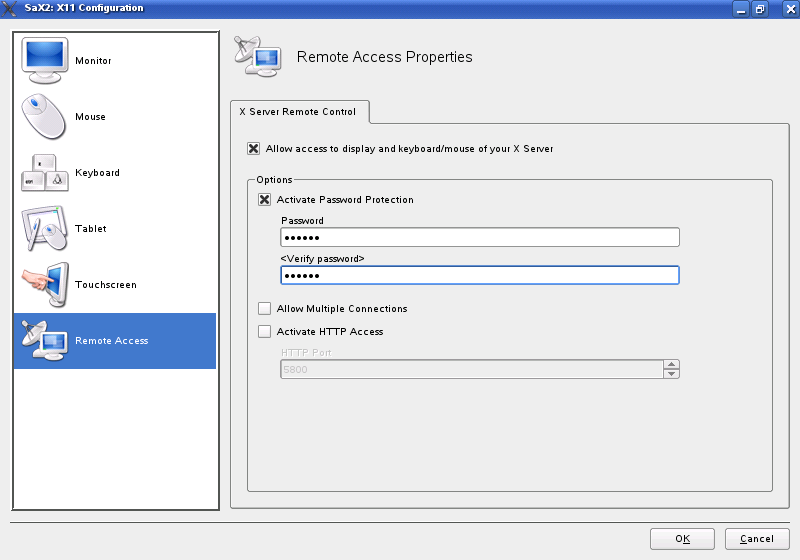 Firstly, open up YaST then click &apos;Network Services&apos; then &apos;Remote Administration (VNC)&apos;. Once the window has opened up ensure that the box titled "Allow Remote Administration" is ticked and click &apos;Finish&apos;. Click &apos;OK&apos; then you’ll get asked to &apos;Test&apos; or &apos;Save&apos; your changes, I’d just &apos;Save&apos; them straight away this time as you haven’t really done anything. 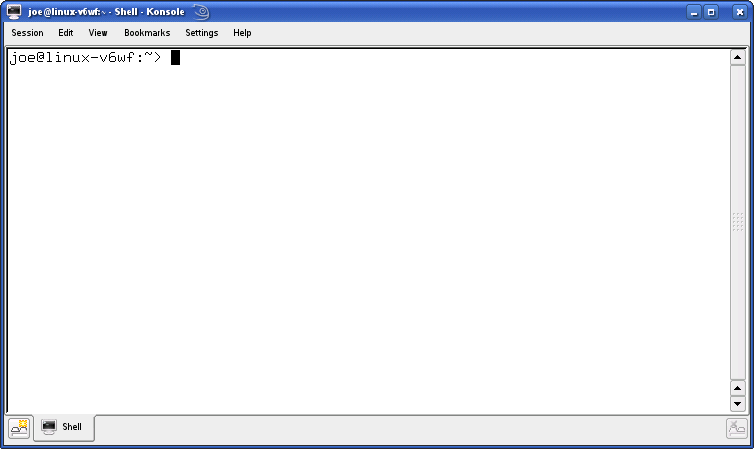 Now just press Ctrl-Alt-Backspace and your computer is able to be connected to via VNC! To test this all you need to do is open up a client on a remote computer, I use RealVNC when on Windows or Krdc when on KDE, and connect to the IP address of your openSUSE computer and then supply that small password you typed in earlier and everything should work out fine! This section simplifies the instructions which I contributed to on YaST Remote Administration on the openSUSE Wiki. You can only connect to a Unix-like computer. So, you can use NX to connect to a Linux computer from Windows - but you cannot use NX to connect to Windows. 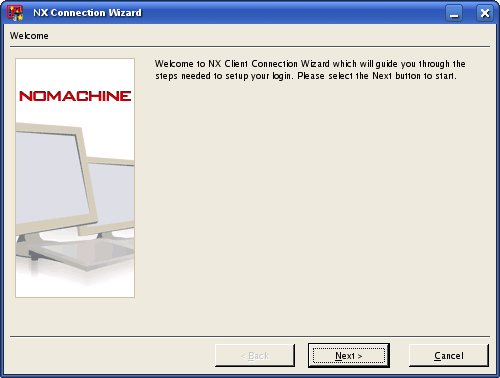 I found the FreeNX Server How-To very useful when setting up the NX Server. Basically, you should have inadvertently installed the server when you selected which packages to install earlier in this tutorial. To check you can type rpm -q FreeNX into a Konsole and check that you get a sensible answer back. Then just type sudo su followed by nxsetup --install --setup-nomachine-key --clean into a Konsole and the NX Server should be all setup for you. You’ve now got everything you need to use NX to connect to your Linux computers in a much more secure fashion than using VNC. Your files and folders should now have the correct filenames in both OSs. the mount --bind protocol in fstab. Add the line /path/to/distant/folder /path/to/new/folder bind defaults,bind 0 0 for every folder you wish to re-mount then :wq the file. It should now work for you the next time you boot into Linux. Note: If you get errors when you run make about missing files then you’ll have to download the source files, extract the contents and add the missing files one by one so that you can run the command again. It’s a pain I know, sorry, I have submitted a bug called Bug 424798 - Missing files in libqt4-devel/libqt4-devel-doc - hopefully it will get fixed. Edit the line which starts LIBS = and change it so that it looks like: LIBS= -L../tools/plugandpaintplugins/basictools -L plugins/ -lpnp_basictools then :wq the file. You should now be able to re-run the command and compile the program without any further problems. You may wish to run qtdemo too after all this to give yourself an introduction to the world of QT and C++ GUI programming. In this chapter we’ll change a lot of the basic settings of your computer so that it feels more personal and easier to work with. It also covers little tweaks and adds some basic user-friendly functionality. 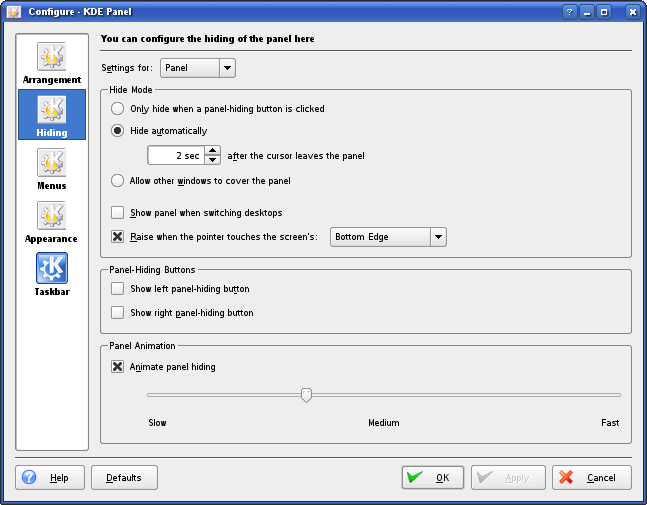 On the left hand side click &apos;KDE Components&apos; → &apos;Component Chooser&apos;. Now click &apos;Email Client&apos; and select "Use a different email client:" then click on the &apos;...&apos; button - you should now be able to select your desired software from the little popup KMenu. Now you need to click &apos;Apply&apos; at the bottom and then you can do the same for the Web Browser. I don’t change any of the other settings or configuration as it’s easy to mess up your whole system in this bit. Open YaST and click &apos;System&apos; then click &apos;Boot Loader&apos;. You should now see all the entries for your computer. Simply click on each one in turn and click &apos;Edit&apos; then change the &apos;Section Name&apos; to something nicer. Then click &apos;Finish&apos; and next time you reboot it will look a lot more professional I think. Right, this is one issue that crops up a lot on various Linux forums. The system bell is annoying in any OS. It seems that the general consensus is to just open up a GUI and change &apos;System Bell&apos; to "Visible" or "None". This didn’t work for me and neither did the information found on an openSUSE Wiki about Firefox started beeping either. Now I should elaborate a bit more because I think my experience with this is different to most people&apos;s, indeed, it seems that the previous methods solve the problem for everyone except me. I run a Dell Inspiron 8600 Laptop. I have a cable in my headphone socket which goes to my Hi-Fi so that I can listen to music on a decent set of speakers. So, no sound ever comes out of my laptop speakers as the cable is always plugged in. Right, here’s the problem: whenever the system beep occurs it comes out of my laptop speakers, ignoring the headphone cable, and for the duration of the beep it also plays my music through my speakers, also ignoring the cable. As the volume on my laptop is on maximum (because of the cable) then when the beep comes out of the laptop speakers it is very loud. This is very annoying for me. My solution is based upon an Ubuntu Forum thread called Turn off (mute) system beep which I have then stuck into a bash file to run on log in so it does it all the time. Now next time you log in, and every time after that, the system beep will be no more! I should say that the System Beep is an important feature of a computer: it notifies you of a major error. Disabling it may hinder your experience, particularly if troubleshooting. However, the System Beep is most important during boot-up and this method doesn’t stop it from beeping during this stage, which is good! 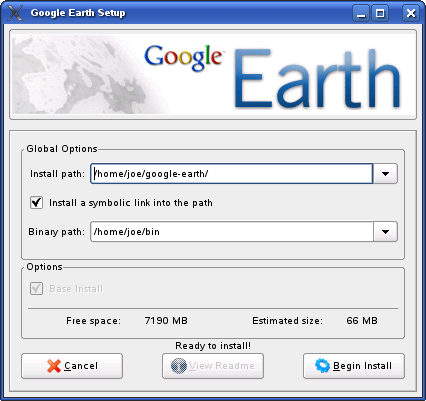 You can easily set up your computer so that it automatically synchronises its time with a remote server. To do this open YaST and click &apos;Network Services&apos; then click &apos;NTP Configuration&apos;. Check the button for &apos;During Boot&apos; and then to one which says Use Random Servers from pool.ntp.org and that’s it! KPowersave is the software which governs the policies for your CPU, i.e., when to run at full and when to save the battery. I prefer to change the settings from the default ones. Open KPowersave by right clicking on its icon in the bottom right corner then select &apos;Configure KPowersave&apos; (its icon is that of a plug). For the scheme &apos;Performance&apos; un-tick &apos;Enable specific display power management&apos; and then click &apos;CPU Frequency Policy&apos; and click &apos;Performance&apos; there too. 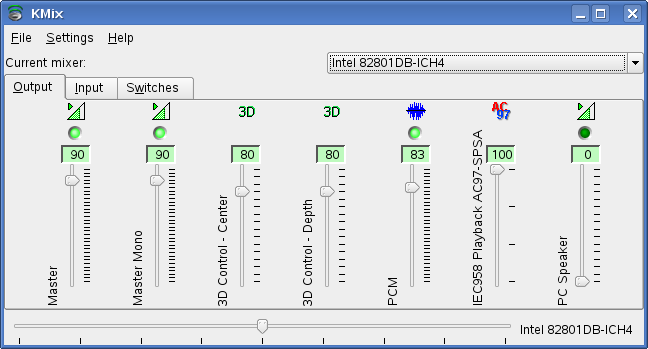 Then for the scheme &apos;Powersave&apos; un-tick &apos;Enable specific display power management&apos; and then click &apos;CPU Frequency Policy&apos; and click &apos;Powersave&apos;. Hit &apos;OK&apos; to save and exit. When you first login to a wireless connection the KDE Wallet system will popup and ask you if you want to use it. I choose to use it for convenience but I don’t protect it with a password for the same reason. So, when it pops up choose &apos;Basic Setup&apos; then tick &apos;Yes, I wish to use the KDE Wallet to store my personal information&apos; then click &apos;Finish&apos; (without typing a password in). Then another popup should appear which asks about "knetworkmanager" so you can now tick &apos;Allow Always&apos;. Now, an icon for the KDE Wallet will appear in your system tray, which I don’t like. So I right click on it and click &apos;Configure Wallet&apos; then I un-tick &apos;Show Manager in System Tray&apos; and then I click &apos;OK&apos;. Then right click on the icon again and click &apos;Quit&apos;. 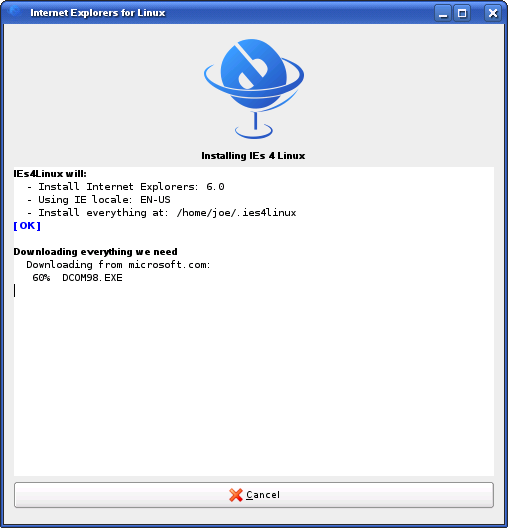 This is an applet which runs whenever you start your computer and checks for available updates for all your programs. It is a little bit like &apos;Automatic Updates&apos; for Windows. 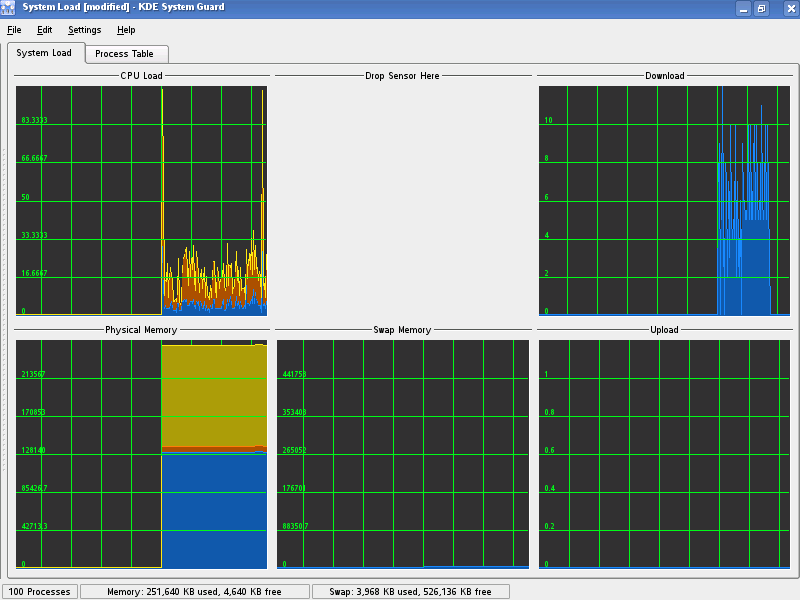 However, it can take ages to check for them as it is quite a CPU intensive task to parse all the xml files and things so it actually slows down your computer for the first 5 minutes or so. Plus, you can’t use YaST to change your software whilst it is working, which is annoying, so, I disable it. To do this right click on the little Gecko in the bottom-right corner and click &apos;Configure Applet...&apos; then deselect &apos;Automatically start updater on logon&apos; then click &apos;OK&apos; and then right-click on it again and click &apos;Quit&apos;. You can still run it from the menu if you want to do an update or you can even use YaST too. Find the line which says # repo.refresh.delay = 10 and remove the # then change the value to whatever you want (the value must be in minutes) then :wq the file. In my file the entire line looks like repo.refresh.delay = 10080. If you choose the same as me then it means it’ll only check for updates every week as 10,080 Minutes = 7 Days x 24 Hours x 60 Minutes. This is an applet which runs whenever you start your computer and manages your clipboard. Personally, I don’t ever use this application so it is just another needless icon in my system tray - so I remove it. Right click on the icon and click &apos;Quit&apos; then &apos;Do Not Start&apos;. Service menus in KDE are equivalent to context menus in Windows Explorer. When you open up a file browser and right click in an empty space you get a little popup menu next to your cursor that gives you a few options about what to do. In KDE you can create these little menus very easily to add extra functionality like &apos;Attach To Email&apos; or &apos;Convert To PDF&apos; or &apos;Optimise PNG&apos;. 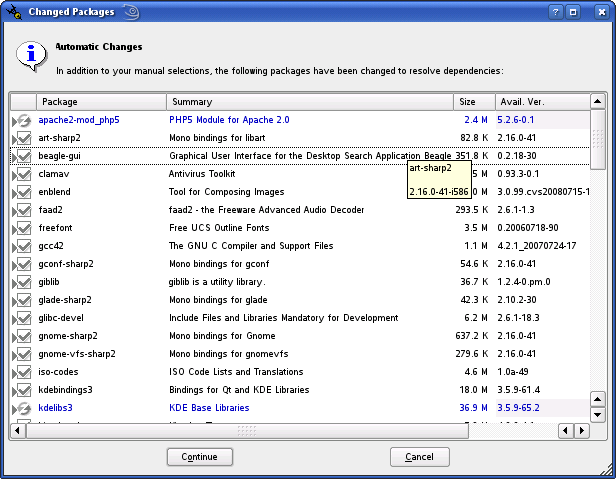 In this brief chapter we’ll add a few service menus to KDE to make our life easier. This can now be tested by navigating to a folder in Konqueror and right clicking in empty space (or a highlighted selection of photos) and clicking on &apos;Actions...&apos; then &apos;Start Slideshow&apos;. This can now be tested by navigating to a file in Konqueror and right clicking it and clicking on &apos;Actions...&apos; then &apos;Attach to Email&apos;. Note: it will not attach files if the full path has any spaces in it. I may make a Bash Script to correct this in the future. This can now be tested by navigating to a PS file in Konqueror and right clicking it and clicking on &apos;Actions...&apos; then &apos;Convert PS to PDF&apos;. Note: it will save the new PDF to your home directory, not where the original PS was. This is due to only being allowed %f once within the Exec line of the script file, see the Exec Documentation. I may make a Bash Script to correct this in the future. This can now be tested by navigating to a LaTeX Document in Konqueror and right clicking it and clicking on &apos;Actions...&apos; then &apos;Convert LaTeX Document to PDF&apos;. Note: it will save the new PDF to your home directory, not where the original LaTeX Document was. This is due to only being allowed %f once within the Exec line of the script file, see the Exec Documentation. I may make a Bash Script to correct this in the future. This can now be tested by navigating to a PNG in Konqueror and right clicking it and clicking on &apos;Actions...&apos; then &apos;Optimise PNG&apos;. In this chapter we’ll really start to make you feel right at home. We’ll change all the cosmetics of your system so that it feels like a well loved comfort blanket. It’ll cover all things like Screensavers and Panels. 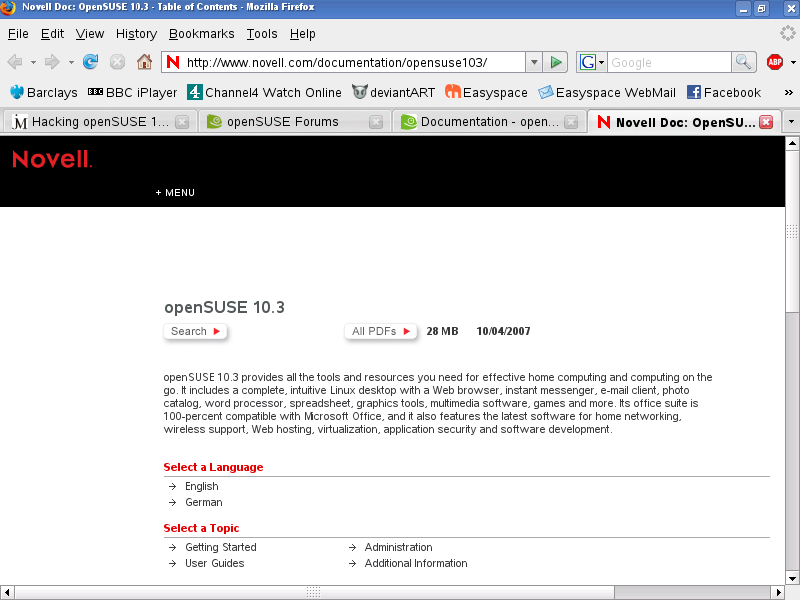 Personally I think the start up sound for openSUSE sounds like a cheap American News Channel and I hate it. So I get rid of it and most of the sounds from the computer. To do this, open up the menu and click &apos;Configure Desktop (Control Centre)&apos; then click &apos;Sound and Multimedia&apos; then click &apos;System Notifications&apos;. You may now select which sounds you want to hear. You may also change the sound files to be played. I like to configure Konqueror so that single clicking doesn’t open a file but just selects it. This brings the mouse behaviour back to how I preferred it on Windows systems. To do this, open up the menu and click &apos;Configure Desktop (Control Centre)&apos; then click &apos;Peripherals&apos; then click &apos;Mouse&apos; and select &apos;Double Click to Open Files and Folders&apos;. Exactly the same as in Windows, it’s up to you as to what you have, if anything. Also exactly the same as in Windows, it’s up to you as to what you have. Then select which file you want to be displayed. Also exactly the same as in Windows - you can delete your desktop icons without any consequences. You may also want to align them to a grid or sort them, this is all done by right clicking on the desktop and using the &apos;Icons&apos; submenu. Setting up the panels is a major step in customising your computer. There are much more opportunities to customise them in KDE than in Windows. For instance I use a Main Panel at 85% width and have it hidden at the upper edge so that it only appears when I move my mouse near it. This means I have the use of the whole screen. This is useful if you have a wide screen as you’ll need all the vertical resolution you can get. I also use a secondary panel at the bottom of the screen which is also hidden, I use it to display data and contain more icons. Firstly, right click on the &apos;Main Panel&apos; and click &apos;Add New Panel&apos; then click &apos;Panel&apos;. 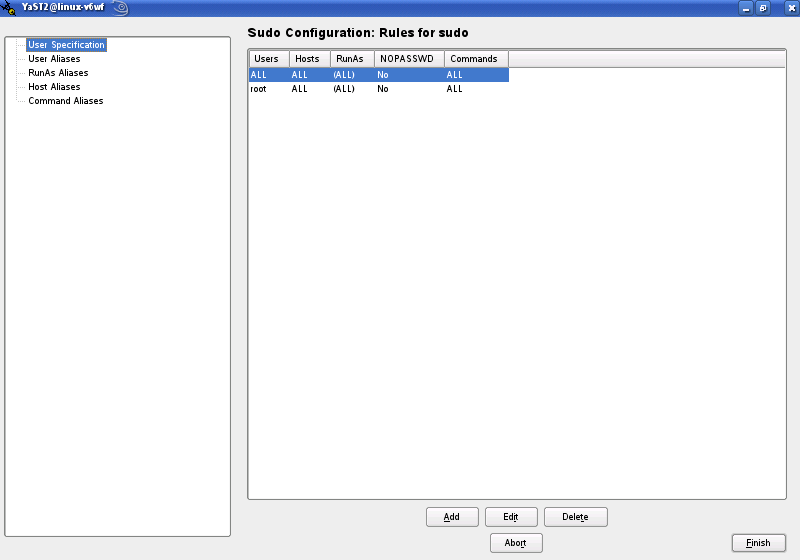 Now Right Click on either of the panels and select &apos;Configure Panel...&apos;. From this box you can configure both panels. I have provided screen shots of my settings so that you can configure yours the same. Whilst you’ve got this dialogue open you might want to click on &apos;Taskbar&apos; and un-tick "Show windows from all desktops". I also use some applets in each panel along with some shortcut icons. To get these simply right click on the panel you wish to add something to and click on &apos;Add Applet to Panel...&apos;. I also change the menu to the KDE Menu style, to do this simply right click on the green gecko and click &apos;Switch to KDE Menu Style&apos;. This is (as is all of this section) down to personal choice, so once again I’ve included a screen shot of what I use. I also lock the panels too. If you’re wondering, the wallpaper is openSUSE by 314zdec at deviantART. You should to able to amke out the Main Panel at the top with &apos;KMenu&apos;, &apos;Desktop Preview & Pager&apos;, &apos;Taskbar&apos; and &apos;System Tray&apos;. The other panel at the bottom has &apos;Clock&apos;, &apos;Kima&apos;, &apos;Lock/Logout Buttons&apos; and various application shortcuts. You may want to edit the style or position of some of the applets, such as the clock and Kima, as the default font isn’t that pretty I don’t think. Also, you may want to make the &apos;Lock/Logout Buttons&apos; transparent, just right click and click &apos;Transparent&apos;. In essence - just have a play around to see whats best! I also don’t like the side image in the KMenu so I go to &apos;Control Centre&apos; then click on &apos;Desktop&apos; then &apos;Panels&apos; then &apos;Menus&apos; and un-tick &apos;Show side image&apos;. Go down until you find the [menus] section. You should now have dainty icons on your KMenu. Now that we’ve got you feeling at home and comfortable with your new system in the previous chapters we’ll start to customise your software so that it can be more productive for your, letting you get the job done in style. To install a script you’ll need to download it as a amarokscript.tar.bz2 or a amarokscript.tar.gz file then open Amarok and go to &apos;Tools&apos; → &apos;Script Manager&apos; → &apos;Install Script&apos;. Then you’ll have to expand the little tree to find the newly installed script and click &apos;Run&apos;, you can now configure it (if the script is able to be configured). You may also wish to look at how I arrange Firefox: it may give you ideas on how to create a more efficient setting for you. hugin is panorama stitching software. It is cross-platform and open source. 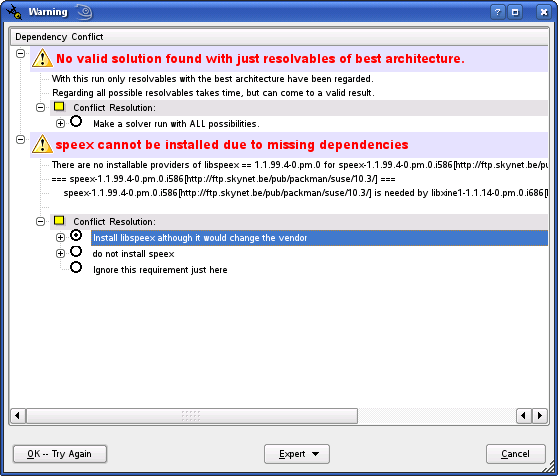 It uses the popular PanoTools as its engine. Some steps are required to install it correctly. Firstly, you’ll need to have completed this check-list. This should’ve been installed via YaST earlier. To check you can open up a Konsole window and type enblend --help to check out its options. Now, replace all instances of generatekeys.exe with generatekeys-sd.exe then :wq the file. Now, autopano-sift should be set up to use fine from within hugin. Set the File Associations so that Konqueror recognises .f95 as Fortran. Only do this section if you haven’t installed KDevelop. 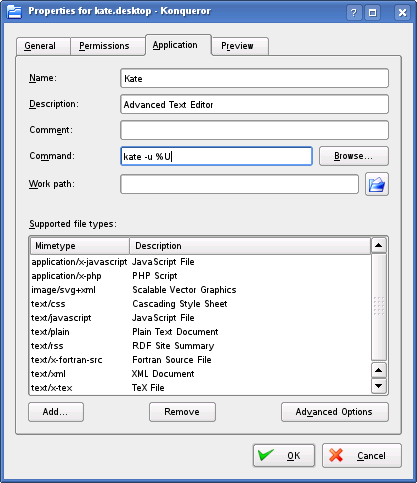 Set the File Associations so that KATE always uses the same window when opening files. Take note that the command field contains kate -u %U not kate %U. If you decided to install LabPlot then you will have noticed that when you open it up a Konsole window accompanies it and that if you close the Konsole window then LabPlot also closes. This is very annoying, fortunately it is easy to fix. Open your KMenu and click on &apos;Control Centre&apos; → &apos;Desktop&apos; → &apos;Panels&apos; → &apos;Menus&apos; → &apos;Edit KMenu&apos;. Now, navigate to the shortcut for LabPlot and select it, then un-tick the box which says Run in terminal . Now, close it all down (saving changes) and it should all work fine. I prefer to use Kaffeine for playing videos and DVDs but sometimes it lacks codec support for some special videos, so, I am forced to use MPlayer in tandem. There is only one thing wrong with MPlayer in my mind - its skin. It is awful; it is so bad that it hinders its use! So, I change the skin to something more user-friendly. Download Pasodoble for MPlayer from KDE-Look.org and extract the contents. Read the README file or simply copy the extracted folder to ~/.mplayer/Skin (don’t worry if it doesn’t exist - just create it). Now, open up MPlayer and right click on a blue part of its UI then select &apos;Skin Browser&apos; from the resulting popup menu. Just click the &apos;pasodoble-mplayer&apos; and you’re away! Add a custom toolbar with a &apos;Word Count&apos; button by going to &apos;View&apos; → &apos;Toolbars&apos; → &apos;Customise...&apos; → &apos;Toolbars&apos; → &apos;New...&apos;. Type Word Count and click &apos;OK&apos;. Click &apos;Add...&apos; → &apos;Options&apos; (in the left hand list) → &apos;Word Count&apos; (in the right hand list) → &apos;Add&apos; → &apos;Close&apos; → &apos;OK&apos;. If you chose to install and use the Opera web browser then you may have noticed that the Flash Plugin doesn’t work correctly out of the box. To get it to work I went to the Installation of Plug-ins for Opera on Linux page and followed the instructions for Flash Plugin. 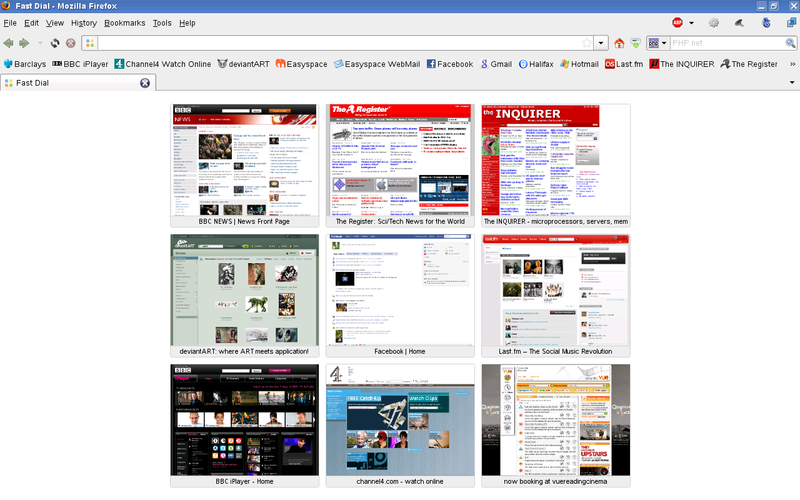 I then manually downloaded the latest version of Opera and updated the shortcuts in my KMenu - it then worked fine. To enable the auto-align feature in qtpfsgui check out align_image_stack whilst I work it out for my specific system - I’ll get back to you. I like my workspaces nice and neat - uncluttered - so I do two things. Firstly, I close the second window (or dialog) which opens when you open up a file in The GIMP for the first time. It’ll remember this setting for next time. The second thing I do is to change the settings so that the layer boundaries are not shown as default. To do this go to &apos;File&apos; → &apos;Preferences&apos; → &apos;Image Windows&apos; → &apos;Appearance&apos; and un-tick &apos;Show layer boundary&apos;. Change the &apos;New Mail Alert Sound&apos; to KDE_Dialog_Appear.wav. Once these have been added you’ll have to do a bit of house keeping to ensure that your system stays clean. Right click on each Newsgroup in turn and click &apos;Properties&apos; then click the &apos;Retention Policy&apos; tab in the resulting popup. Now un-tick &apos;Use Server Defaults&apos; and choose the &apos;Delete all but the last...&apos; option. Then change the value to "500". This should keep Thunderbird safe as it’s not uncommon to get over 200 messages from the Applications Newsgroup alone in one day - eek! If clicking on a web link in an email doesn’t open it up in a web browser at all then you can follow these instructions. I don’t know if it is a bug or something which I did to my system accidentally but it didn’t work for me until I did this. I devised this method after reading an Ubuntu Forum thread titled "Thunderbird and default web browser". So, open up Thunderbird and go to &apos;Edit&apos; → &apos;Preferences&apos; → &apos;Advanced&apos; → &apos;Config Editor...&apos;. Now, in the little search box type "app.http" and if links don’t work in your emails then nothing should show up in this search. If things turn up and links don&apos;t work then I don’t know the solution to your problem. So, if you want to continue this solution then right click in the large white space and click &apos;New&apos; → &apos;String&apos;. In the first popup type network.protocol-handler.app.http and then in the second popup type firefox. Now, do the same thing again but this time type network.protocol-handler.app.https then firefox. Note that the second time it says https not http at the end. Links should now work in emails! In this chapter we’ll look at a few ways in which you can optimise and look after your computer, from the clearing of temporary files to the detection of rootkits. There is a system cron job to clean out old temp files which can free up disk space on your computer, it just needs setting up first. Under &apos;Update&apos; set &apos;Update Virus Database Automatically&apos; to 6 &apos;Times a Day&apos;. Note: currently I have not found a way to integrate KlamAV with Thunderbird at all. I have looked everywhere. If anyone knows how to pipe mail in Thunderbird then please contact me. In the mean time I’m starting to consider switching to Kontact and KMail. &apos;Network&apos; → &apos;Interfaces&apos; → &apos;eth0&apos; → &apos;Transmitter&apos; → &apos;Data&apos;. It’ll remember this new setup without you doing anything so that next time you open up Ksysguard you’ll get a much better picture of what’s happening one your computer. Note: in the empty space shown in the above screen shot I usually put the CPU temperature graph. However, the screen shots for this tutorial were taken inside VirtualBox and the Guest OS cannot read that data - hence the blank space. rkhunter checks for rootkits and other malware on your system. You can run it by opening up a Konsole window and typing sudo su then rkhunter -c -sk then sit back and read the output. 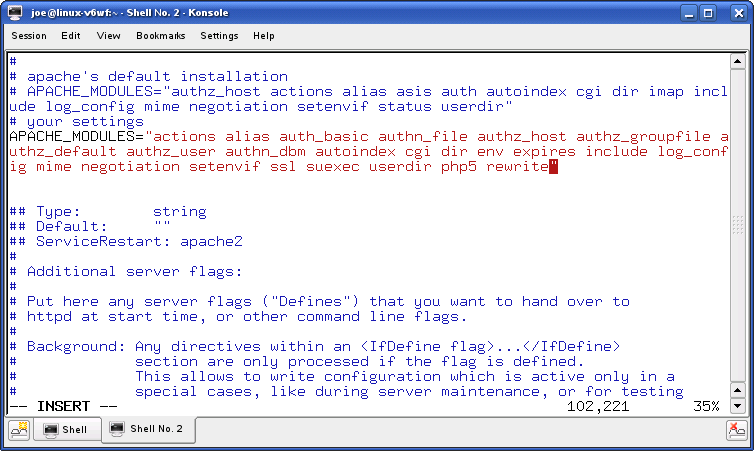 Be sure to also type sudo su then rkhunter --update often to update its database. 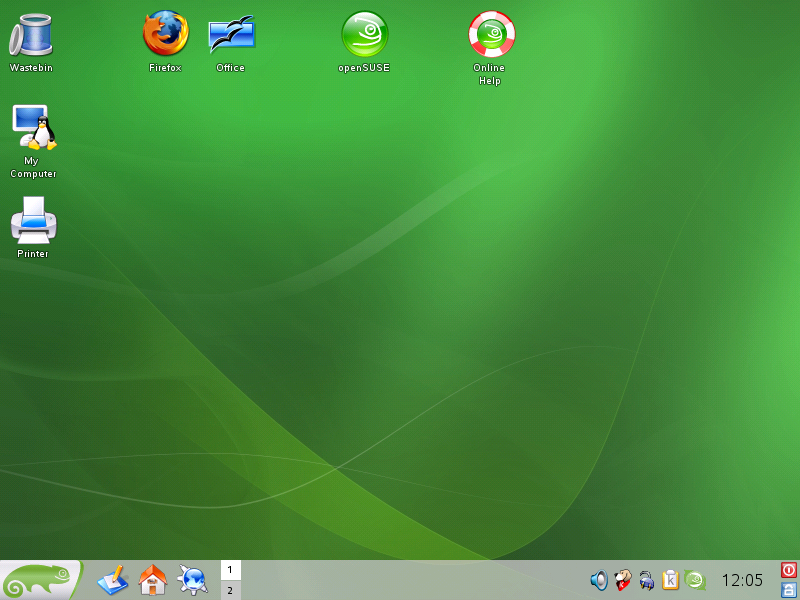 I believe that openSUSE with KDE is an amazing OS which I find both practical and efficient to use. By the way, my computer is a (as of 2008) 4 year old mid-range Dell Inspiron 8600 Laptop with 512MB of RAM, a 1.5GHz Intel Centrino CPU and a 64MB Nvidia GeForce FX Go5200 Graphics card which, I think you’ll agree, isn’t exactly amazing. However, I think the results which it produces are amazing. I present here a brief list of some resources regarding openSUSE which may help you in your future endeavours. The Jem Report contains a list of very good guides about various Linux distributions. Try reading the specific setup guide for openSUSE 10.3 if you want. 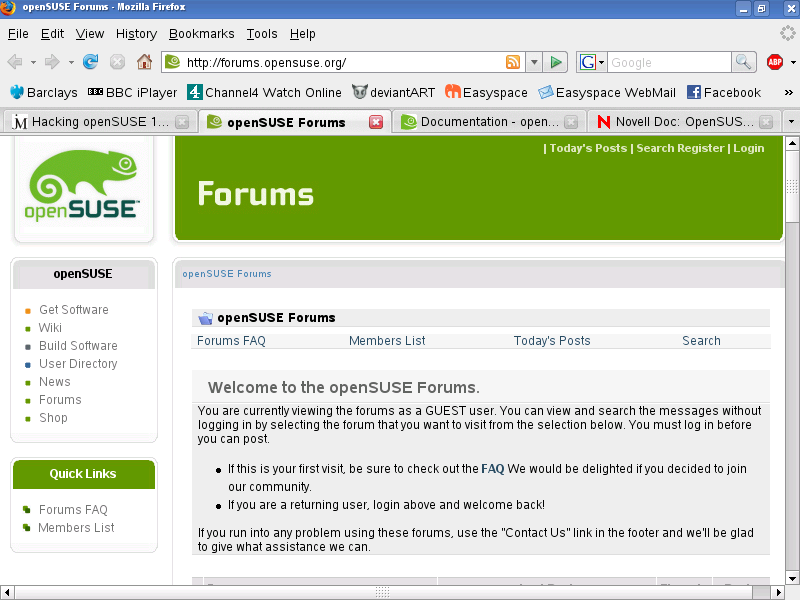 There are some openSUSE Forums which are very useful if you get into trouble - they’re very helpful, thorough and patient. No Linux distribution would be complete without its own Wiki, so try the openSUSE Wiki as it has loads of user friendly documentation. 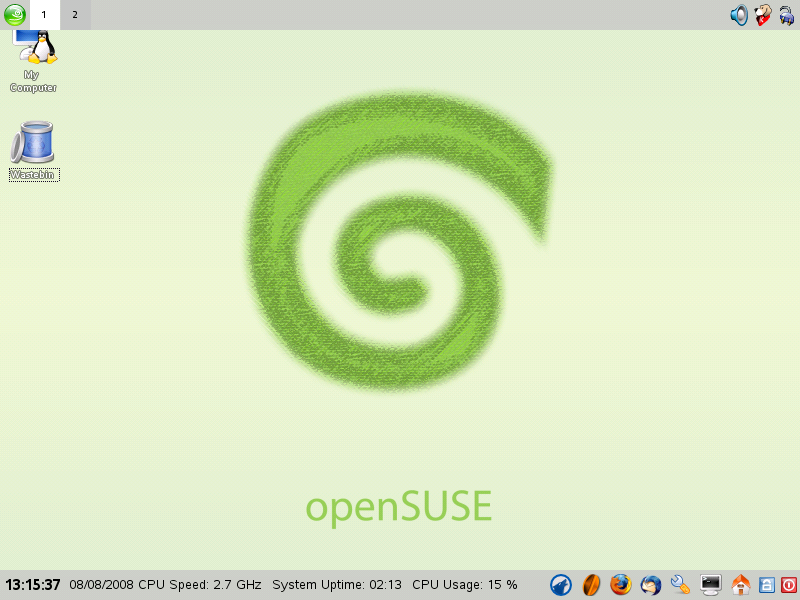 If you don’t already know, Novell are the founders of openSUSE. 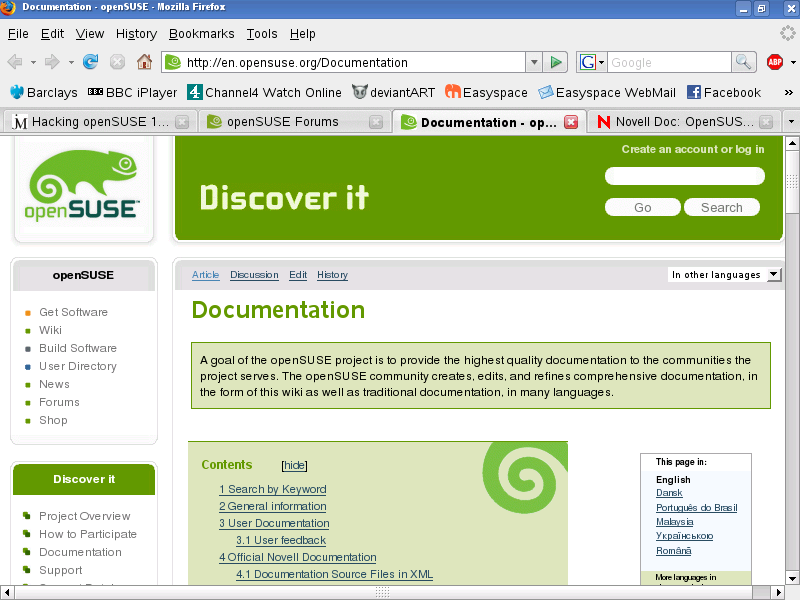 They have released some supporting documentation for openSUSE 10.3 which should have everything you need.